"When I was thinking of changing my career and training to become a driving instructor, I had seen an advert for one of the big national centres that were heavily advertising at the time. I had my finger on the dial button when my husband told me to delay while he did some local research. The research he did for me changed my career path completely as he found Elite, and persuaded me to speak to them before going to the one I had in mind. Thank goodness I did. That decision led me to Ian, and from our first meeting it felt "right". Ian is both highly professional and very likeable, you simply couldn't ask for better steering and training. Once you start training you are in every sense one of the team, and Elite is a bit like a family business." "I have been associated with 'Elite driving school' not only throughout the qualifying process but also subsequently as a franchisee. Throughout this time I have never been tempted to swap my allegianceelsewhere. Why would I,Elite are everything I would want in a franchise! They provide a support programme that is second to none, they are fast becoming the most respected driving school throughout surrey and the south east to mention only a couple of locations, and they are developing a reputation not only with prospective pupils as being the driving school to learn to drive with, but also within the instructors' circles, and I take great pleasure in being part of this success story"
"The two guys that are at the helm of this company are hugely experienced , knowledgeable, and quite simply the nicest guys you are likely to meet. You can't fail to be affected by their enthusiasm and learn from their extensive knowledge of the profession." 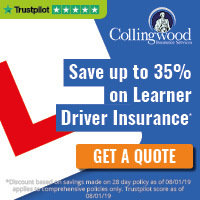 "In the four years I have been running my franchise with them, they have never failed in keeping my diary full.I have absolutely no hesitation in recommending any prospective instructor or existing ADIs to become a part of this close knit family. You will never make a better decision in your professional careers. In my opinion they are not only ELITE in name but also ELITE in nature." "If you looking for a holistic driving school to provide all your franchise needs then look no further than ELITE Driving Instructor Training Ltd."
"I joined this school as a PDI during my training and got trained by Ian, one of the company directors, after taking part 1&2, and some part 3 from another driving school. I found his training very thorough and unique from what I have previously received. Before signing the contract I was a little nervous whether I was going to get the job. I'm very glad to say that they exceeded the number of pupils promised per week, and on a few occasions I have had to ask them to put new pupil bookings on-hold as my diary could not accommodate more influx." 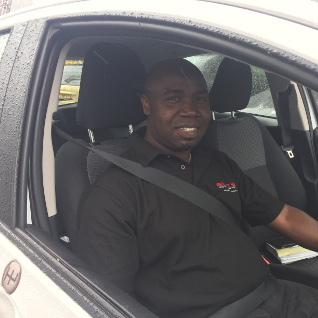 "Since I qualified I have been approached by several 'giant' driving schools (including the one I began training with) to join their franchise but I think it's not about how big the school is but how effective they are. ELITE Driving School has an exceptional customer service ethic. It's two directors have a repertory of knowledge in the driving school industry as they have been instructors for decades. What I find most useful and helpful is the biannual network meeting which brings together all instructors and staff of the company. It's a time when we catch up with colleagues, meet new ones and get an update of changes of the driving school industry"
"I can't wait to see this school come 1st out of over 4,000+ driving schools on the national Freeindex.co.uk driving school listing, as we are currently in 3rd position. I feel proud working with Elite!!!!! Thanks Elite." "I joined Elite in 2012, invited by Ian, who had the dubious honor of training me. After working for myself for a few years, I felt they offered a level of professionalism and support, which I didn't have on my own." "Between Eddie and Ian they have a wealth of knowledge. Eddie since before engines were put in cars, and Ian just after he got out of nappies!!!! So any questions, queries or problems, they are always there to help." "I have also set up and run the company's under-17 driving sessions, with the full support and encouragement of both Ian and Eddie, even mucking in and helping out when needed. These sessions have proven a real success, and I have worked with several members of the team whilst carrying them out, all of whom have proven to be very professional, working to a very high standard, but most importantly of all great fun, further ensuring the success of the sessions." "We have regular meetings where the dynamic duo can keep us up to date with all the latest news about the company and the industry which is helpful, but, most importantly for me is to catch up with everyone. In an industry where you are isolated from colleagues, it is really good to be able to exchange ideas, moan and have a good gossip, with others who you like and respect." "All in all, not the biggest company to work with, but one of the best. What it lacks in size it more than makes it up in encouragement and support, and best of all, you could not ask for a better group of friendly, professional and fantastic people to work and be associated with." "With their excellent knowledge, experience & teaching methods, Ian & Eddie got me through all 3 parts needed to become a fully qualified driving instructor & their excellence & high standards continues through to their franchise opportunity. I am so happy & proud to be a part of the Elite team." "Ian & Eddie are so organised, professional &a efficient that I always feel well informed & kept up to date with everything. We have frequent meetings & I always have plenty of opportunities to discuss anything with them. I love our personalised web page that we all have which really helps to promote & advertise each of us individually. In this industry where we work solo, it's great to be part of a team that is so enthusiastic about the job & constantly striving to deliver the highest standard of teaching & service as possible. New pupils often comment on how professional Elite have been from the point of enquiry to booking in their first lesson, and we continue that right through to the end." "Elite also go out of their way to help & accommodate my needs & always ensure I have plenty of work. I would definitely recommend Elite's franchise package to anyone training or already a fully qualified ADI." 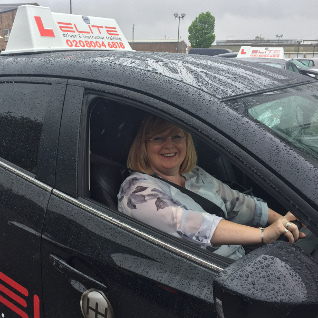 "I trained for my ADI licence with Ian & Eddie before they set up Elite, so when they asked me if I'd like to join their franchise working with Elite I didn't hesitate as I found them both very fair & helpful. I've now been with Elite about 5 years & I'm pleased to say that they haven't changed their approach to the business." "We have regular team meetings, helping to keep us all up to date & have our say. That's the advantage of being a small company, being able to keep the personal touch. Our website is always up to date with lots of helpful information for our customers." "My diary has been quite full even during the slow times of the year. Eddie & Ian work hard to keep the phones ringing. They also have many years in the business of driving tuition & training people to become driving instructors, which is a great reassurance." 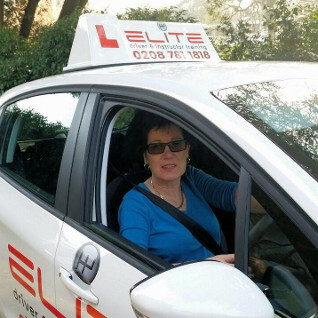 "After a false start with another driving school where I stayed far too long, I decided to phone Elite because I had training with Eddie and Ian in 2006, before they had set up their own driving school." "I find the whole team at Elite very professional and easy to work with. I would highly recommended the Elite franchise to any instructor who wants a change for the better. " "I joined the Elite team as a PDI after completing my training with the AA. I took the option of further training with Elite whilst I prepared for the final Part Three test. The additional coaching I received from Ian was fantastic! Giving me new confidence in teaching the manoeuvres, advice and guidance. As a new instructor I was excited but apprehensive at the same time, every worry and concern I had were quickly put aside with reassurances from both Ian and Eddie." "The introductory franchise fee was a great support in the early days as I built up my business and my student base grew as were the flyers, business cards and of course the livery for the car." "The team in the office are always there to lend extra support, dealing with student enquiries, bookings and managing the fleet of drivers that are out on the road." 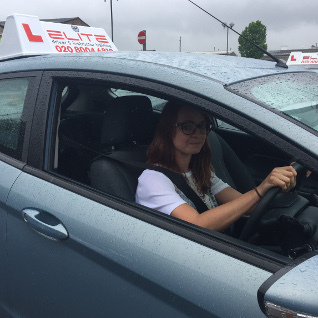 "When I initially joined the Elite team on my "Pink Badge" I was only going to stay until I qualified and could join the AA, I had never considered joining a smaller driving school, now I wouldn't consider joining any other!"